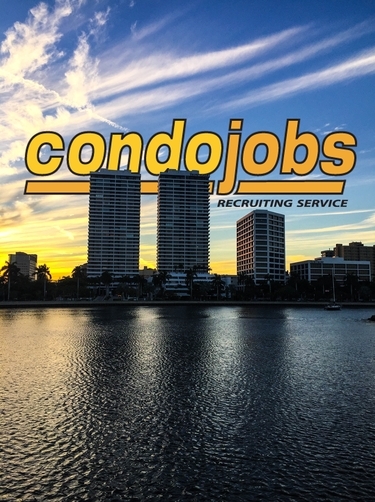 CondoJobs Recruiting Service is Florida's premier recruiting service dedicated to meeting the needs of community association board members and managers for 32 years. Our resolution is to continue to meet the changing and growing needs of community associations, condominiums, homeowners associations and cooperatives. We are committed to providing the information, resources and services you need to operate your associations effectively and efficiently. It is our ongoing goal to match licensed community association managers with communities and management companies who are in need of their services. We always have available managers and open jobs to offer. Please click on the "program explanation" tab under the appropriate heading for complete explanations. 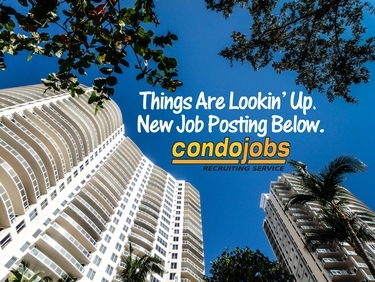 You may call Lisa at (561) 791-0426 or email Lisa@CondoJobs.com. For an association in Boca Raton. 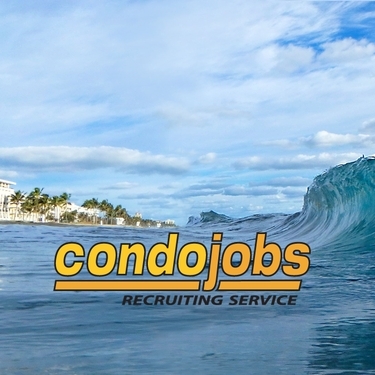 Minimum of 3-5 years of onsite condominium management expertise and superior administrative skills. 40 year certification experience a plus. For an association in South Martin County. Must have 5 years of management experience as a CAM. Must have a valid Florida driver's license with proof of auto insurance. For 4 associations in Jupiter, North Palm Beach and West Palm Beach. Will manage the day to day physical and financial operation of the associations, including serving as a primary liaison with board members, owners, vendors and tenants. At least 1 year of experience required. For a beachfront condominium in New Smyrna Beach. 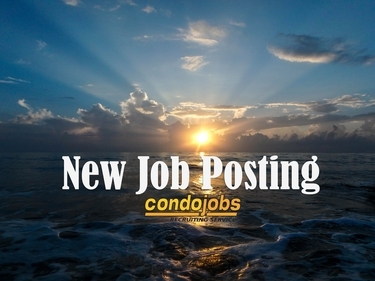 Will coordinate management and operations duties. 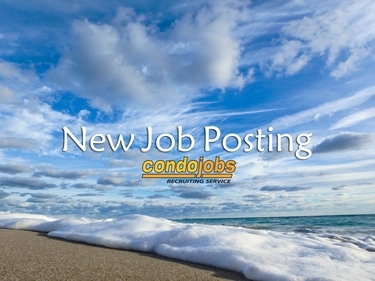 Will work with existing staff consisting of an office manager, maintenance director and broker/rental manager. For a Broward County management company. 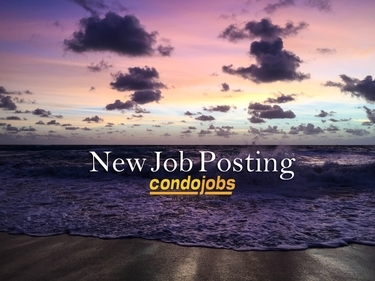 Must have a minimum of 2 years of condominium and homeowners association management experience. Proficiency in Microsoft Word and Excel desired. For a 700 unit condominium in Doral. Knowledge of 40 year recertification is a must. Will have oversight of an assistant manager, maintenance and janitorial staff. Must be results oriented and people first driven. For associations in Hillsborough, Pasco, Hernando and Citrus Counties, immediate opening. Must have 2 years of experience with managing a portfolio of associations. Must be a team player and be able to hit the ground running. Training or shadowing will not be offered. For a small condominium on Amelia Island. Must have a minimum of 2 years of CAM experience. Proficient in using the internet with strong computer skills. Excellent organizational skills. For an association in Sarasota. Will work within policies and budget limitations established by the board and association documented guidelines and regulations to manage the daily operation of the association. Will report to the president. 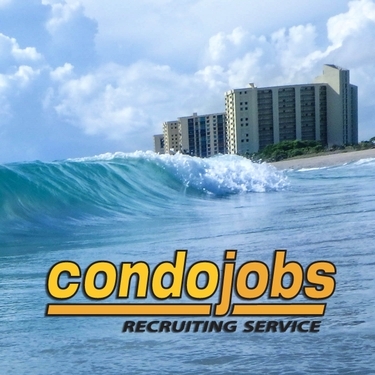 To manage a 150 unit condominium in Panama City Beach. 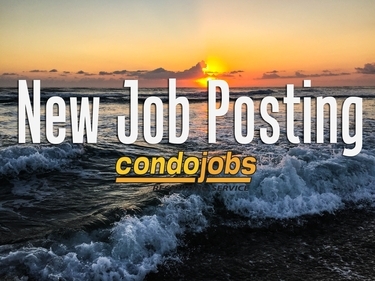 This is a hands on leadership position responsible for overseeing the operational, administrative, financial, human resources, maintenance and security functions of a community and have the ability to adapt to changing circumstances. For associations in Northern Palm Beach County. At least 5 years of CAM management experience is required. Must have a professional image with excellent interpersonal skills and be a team player. For a community in the Punta Gorda area. 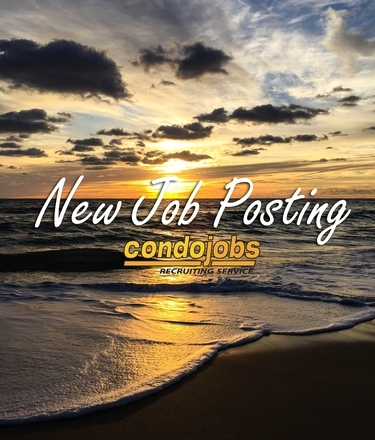 Must provide exemplary customer service and exceptional ability to analyze and handle a variety of situations in a courteous and professional manner. Must have 3-5 years of experience. For a 50+ unit association in New Smyrna Beach. 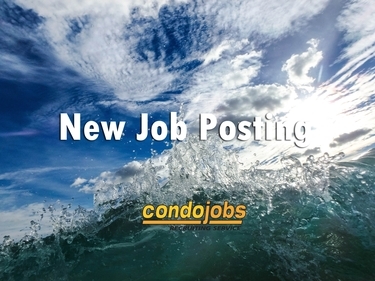 Will be responsible for office management, maintenance and cleaning of the common areas. For an oceanfront association in New Smyrna Beach. Will be responsible for the CAM work and maintenance work at the association. Maintenance knowledge and experience required. 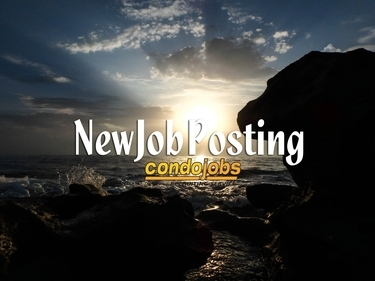 For a condominium in New Smyrna Beach, 10-12 hours per week. About 5 hours per week for walking around the community and the rest for answering questions, talking to vendors, etc. 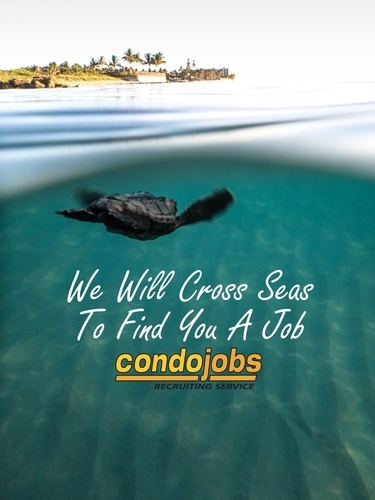 For a condominium in Indialantic by the Sea. 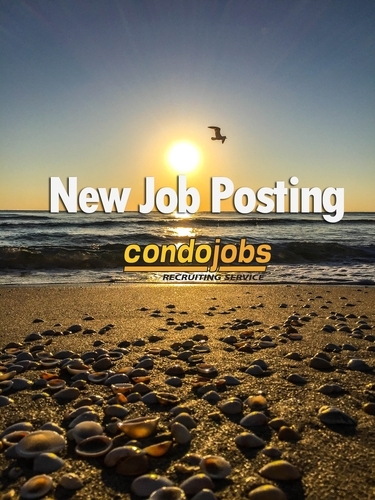 Will oversee the day to day operations of the condominium, including maintenance, collection and deposit of fees, maintaining resident files, working with outside vendors and owner relations. 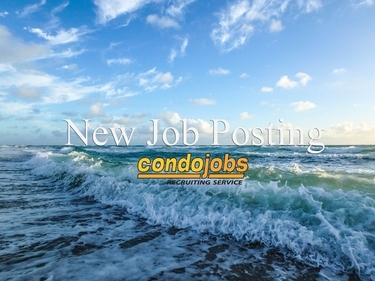 For an oceanfront association in Vero beach, CAM license not required, immediate opening. Minimum of 3 years experience with QuickBooks and customer service experience required. Must have the ability to work on call on nights and weekends. 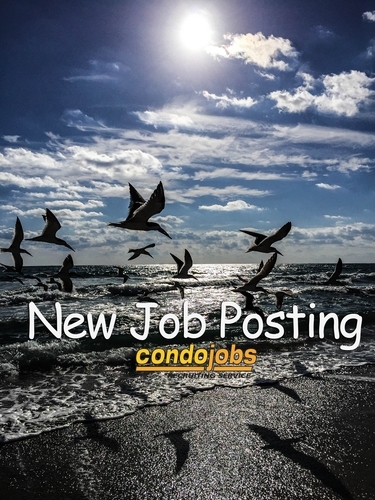 Experience with construction and building maintenance preferred. For associations in Venice. Will be responsible for providing the overall supervision of the community associations, including inspections, overall physical maintenance, vendor and contract management, budgeting and invoice processing, interacting with owners, vendors, board members and committee members. For an office in the Lake Mary Area. Must have good organization and follow up skills, great communication, know basic math, Excel, Word, Outlook and be a team player. To oversee associations in Seminole County. Must be hands on, highly motivated and provide professional management services to the associations. Proficiency with TOPS is highly desired. For a 300+ unit 55+ condominium in Palmetto. Must have at least 5 years of experience. Work hours are 8:00 a.m.-2:00 p.m. A real estate license is plus. 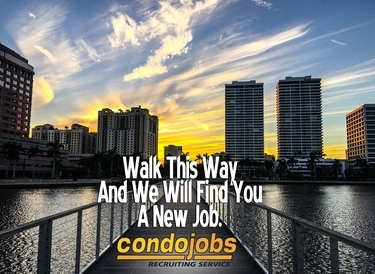 To oversee and manage a 600 unit condominium in Aventura. At least 5-7 years of experience is required. Must be bilingual in English/Spanish. For a large homeowners association on Pensacola Beach. 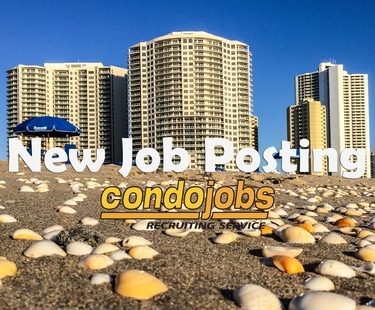 Will work to oversee the operational, administrative, financial, maintenance and security functions of several condominium associations within the same community. For a large homeowners association in the Doral area. Will plan, direct, recommend and implement policies and procedures to ensure the services required to maintain the common elements of the association are provided in a first class manner and in accordance with community rules and regulations. For a community in Palm Beach Gardens. Need to have strong association management experience of 3+ years, the ability to work with boards of directors and good diplomatic skills. 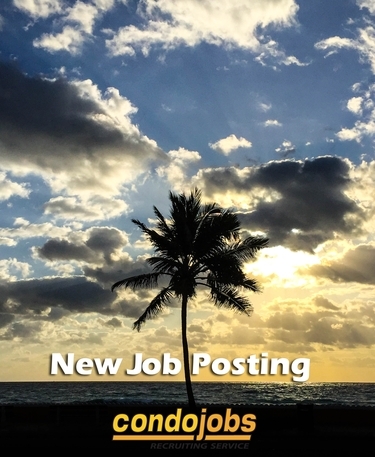 For 7-9 associations in Palm Beach County, immediate opening. Must be good with violations, communication and maintenance skills. For an association in Boca Raton. Will provide quality maintenance and management services. 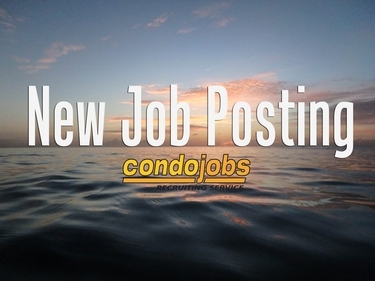 Must have at least 3 years of community association management experience. For an oceanfront condominium in Saint Augustine Beach condominium. Community association management experience required. 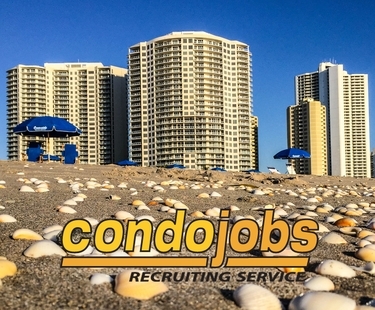 Must have full working knowledge of Florida Condominium Statute 718. The work week is Tuesday through Saturday. For associations in the Brevard County area. 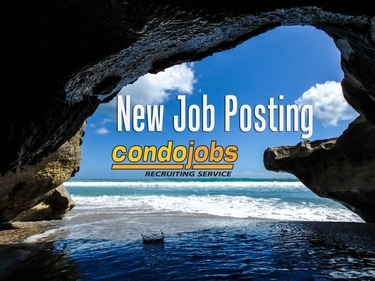 Must have 2+ years of work experience in association management with prior people and project management experience with condominiums, apartments, hotel, timeshares, developer, townhomes or homeowners associations. 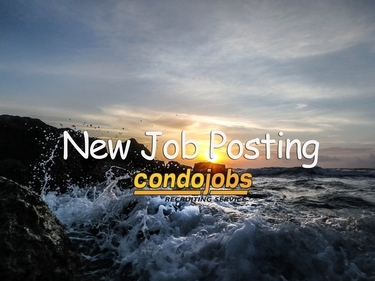 March 22, 2019 - CondoJobs Is At Your Service! My job focuses on increasing the effectiveness of our recruiting service. Our goal is to consistently place qualified managers with community associations who need their services in a timely manner. For an association in Martin County, 30 hours per week. 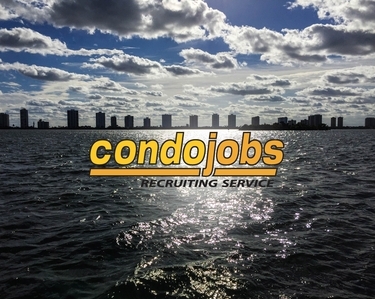 For a 100+ unit condominium in Saint Petersburg, 25-30 hours per week. Must be computer literate, including knowledge of QuickBooks, Word, Excel and email. Needed for very active 55+ cooperative in the Eustis area of Central Florida. Prior experience managing a resident owned community preferred but not required. 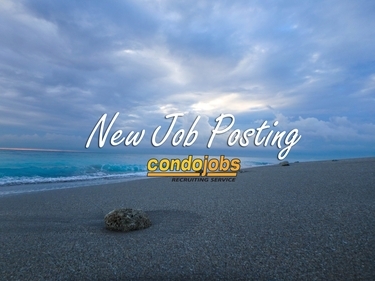 To oversee operations at beautiful luxury community in Naples. 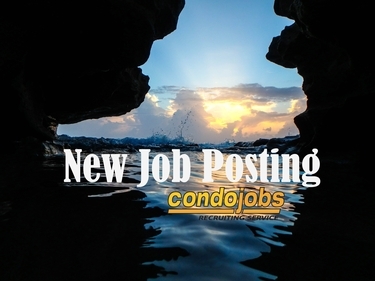 Must have direct experience in condominium management. The ideal candidate will have at least 3 years of condominium management experience with 5 years of industry related experience. For condominiums and homeowners associations in Hillsborough, Pinellas and Pasco County, immediate opening. Excellent working conditions in a relaxed, yet energetic environment. For a 300 unit condominium in North Miami. Must have at least 2 years of experience, more experience is preferred. 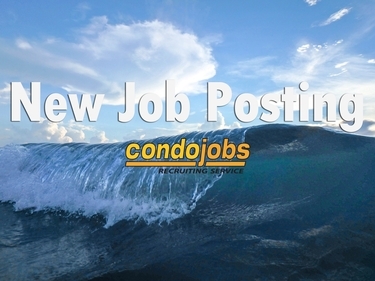 Must be strong in maintenance, operations and technical and have good organization skills. For a multiple association community in the Vero Beach area. Must have at least 8 years in association management and maintenance or a related field. 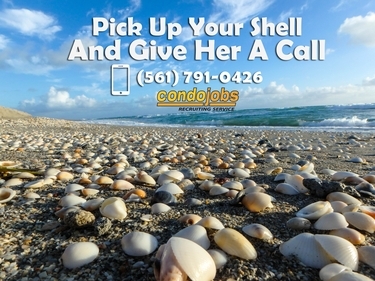 March 01, 2019 - CondoJobs Has a Free Cell Phone App! 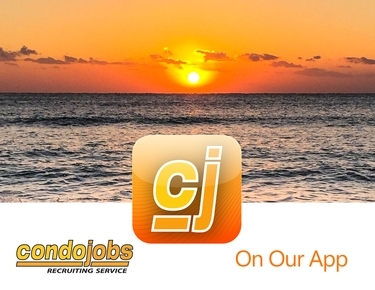 CondoJobs now has a free cell phone app for iPhone and Droid users! 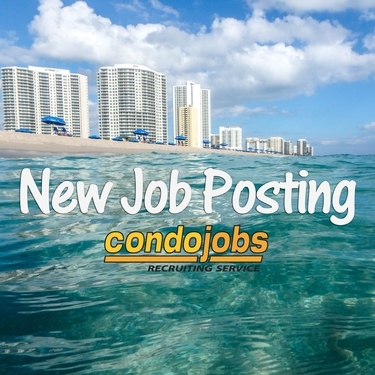 We have several openings for qualified, experienced bilingual CAM managers for Dade County. 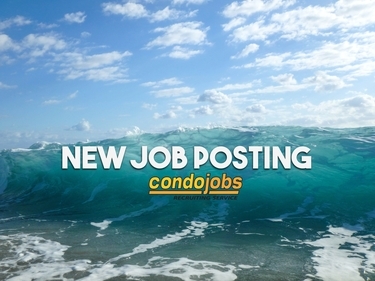 If you are a bilingual manager or know of a bilingual manager searching for a job, you may email your resume to me at Lisa@CondoJobs.com. 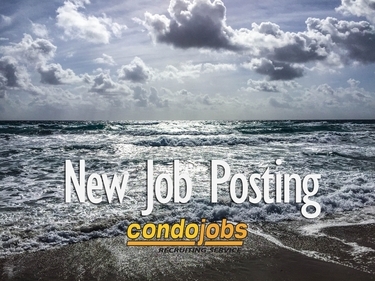 For an association of 120 units in South Siesta Key, 35 hour work week. Must have 3-5 years of CAM experience. Seeking a competent and professional individual who has proven leadership and communication skills, is very computer literate, works independently, can develop and maintain good working relationships and is an excellent problem solver. For a homeowners association in the Bradenton area. Will be responsible for all aspects of association and personnel management. 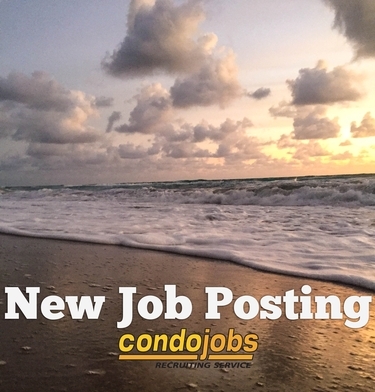 Must excel in creating balance between managing the community by Florida CAM standards and creating an inviting and positive relationship with owners, vendors and residents. For a luxury condominium in Sunny Isles Beach. Will plan, direct, recommend and implement policies and procedures to ensure the services required to maintain the common elements of the association are provided in a first class manner. For a 200 unit condominium in Tampa. At least 1 year of previous CAM experience is a must. Bilingual English/Spanish. For associations in the Winter Haven area. Will work with boards, residents and vendors to operate the communities in a safe and professional manner. For a 300 unit oceanfront association in Saint Augustine Beach. Many of the units are part of a vacation rental program. 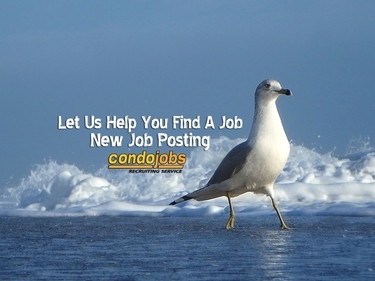 At least 3 years of condominium management experience is required. February 14, 2019 - Attention: Managers! We currently have 65 open management positions in Florida! 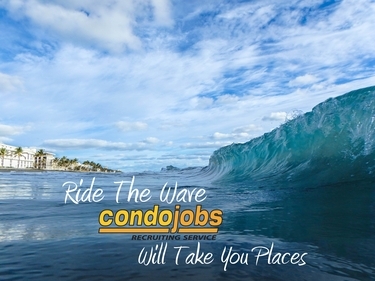 The jobs are located in many areas across the state, including: West Palm Beach, Boca Raton, Jupiter, Fort Lauderdale, Miami, Pensacola Beach, Orlando, Tampa, Bradenton, Fort Myers and Naples. For 9 associations in Bonita Springs. 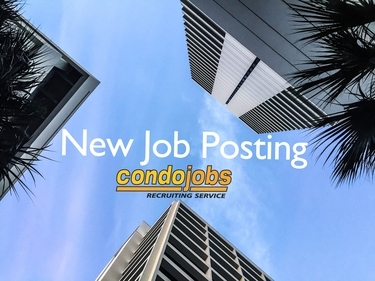 Must be energetic and dedicated with condominium and homeowners association management experience of at least 3+ years, 5 years preferred, the ability to work with boards and good diplomatic skills. For a large condominium in Delray Beach. At least 2 years of CAM management experience is preferred. Must have a professional appearance with excellent multi tasking and communication skills. Must be project oriented with a friendly disposition. For a homeowners association in Southeast Orlando, 25 hours per week, 5 days per week, 5 hours per day. 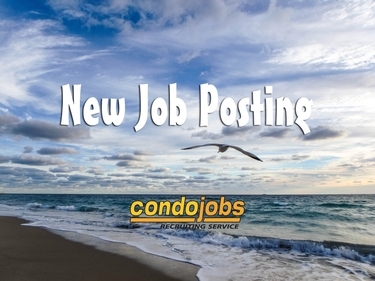 Will be responsible for accounting, posting payments, bids, contracts and home and community inspections. For a community in Destin. Will provide management and leadership to the association. Will ensure the goals and needs of the community are consistently met. Must conduct business at all times with the highest standards of personal, professional and ethical conduct. Will participate in meetings and work groups to integrate activities, communicate issues, obtain approvals, resolve problems and maintain specified level of knowledge pertaining to new developments, requirements, policies and regulatory guidelines. For a community in Panama City Beach. At least 5 years of CAM management experience preferred. Must have strong proficiency in Windows and Microsoft Office, including Word, Excel, Power Point and Outlook. Proficiency researching the Internet. Previous experience with financial and accounting programs preferred. For a condominium resort community on Siesta Key. This beautiful community has multiple acres and residential buildings, as well as a marina, tennis courts, fitness center and beach access. For a waterfront condominium in Miami. 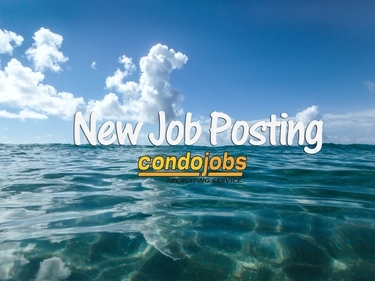 Must have a minimum of 3-5 years of condominium management experience. 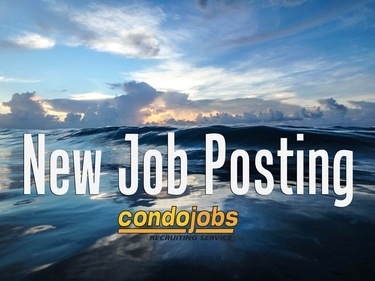 Will have the assistance of an administrative assistant, valet, security, maintenance and janitorial staff. 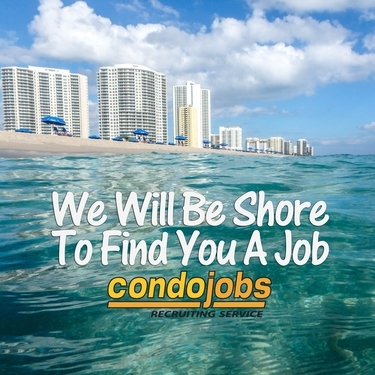 For a condominium in Fort Lauderdale. A minimum of 8 years of CAM experience is required. Must be punctual, efficient and detail oriented, as well as highly motivated, independent and well organized, with excellent oral and written communication skills. This position is for an independent contractor. For a 200 unit association in Aventura. Must have great communication and organization skills. Will interact with internal and external customers including homeowners, vendors, board members and committee members. For an association in Martin County, immediate opening. Must have at least 3 years of CAM experience. For associations in Fort Lauderdale. Will be responsible for overseeing approximately 8-10 associations. Must be proficient in Microsoft Office, a fast learner and able to work for extended periods of time on your feet. In the Gainesville area. 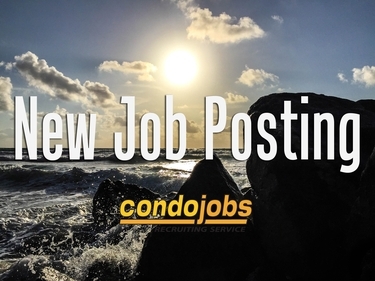 Will be responsible for covenant enforcement, assisting boards with day to day aspects of managing an association, preparing for and conducting association meetings, reviewing financial reports, project management, preparing service bids and overseeing contractors. For an association in Panama City Beach. Will help plan and facilitate all activities and transactions. Previous supervisory experience is required. 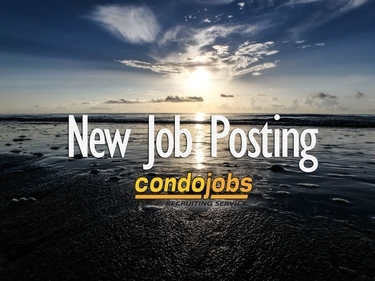 Must have excellent time management, communication and administrative skills. for a condominium in Marco Island. 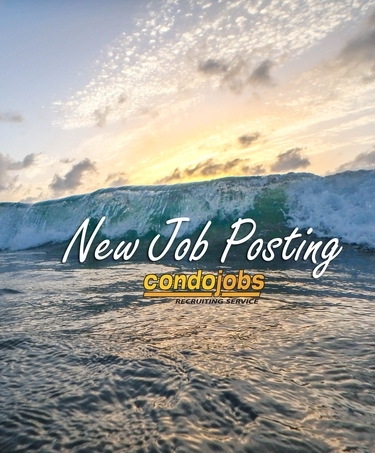 This position is a full time, hands on position responsible for the management of community and building, supervision of staff and fiscal and administrative functions of the association. At a large condominium association in Deltona, 24-30 hours per week, CAM license not required, immediate opening. 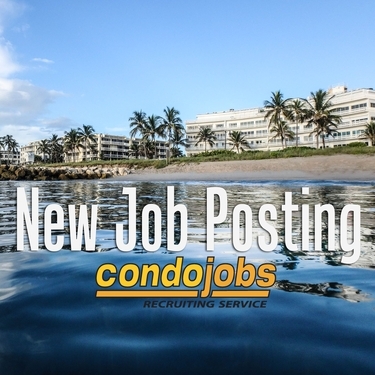 Will assist the community association manager with all administrative and support functions required to accomplish daily, weekly and monthly tasks in a busy condominium association. For an association in the North Naples area, very flexible about the days and hours. Self motivated manager sought for a 1 person office onsite. Prior association management experience strongly preferred. Timely response to after hours and emergency calls is expected. For a small condominium with a large tenant population in Aventura. Must be self motivated and have good verbal and written communication skills. Requirements include great customer service, multi tasking and time proficient. It is estimated that there are currently over 50 million people living in more than 250,000 community associations throughout the United States. In Florida, many of these associations are professionally managed by CAMs. A checklist for the duties and responsibilities of community association managers. 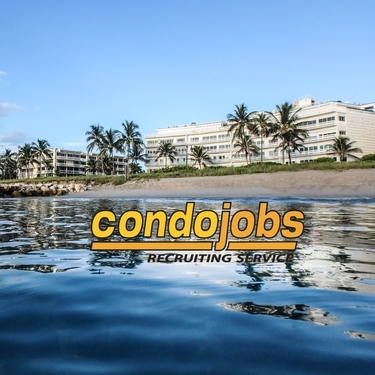 For 300+ unit condominium in Miami Beach. Must be a self starter with initiative. Good communication and organization skills required. Must have experience with budgets, financials and projects and be good with people. To manage a premier lifestyle community association in Sarasota. At least 5 years of resort style community association management preferred. Must possess amazing leadership and people skills. 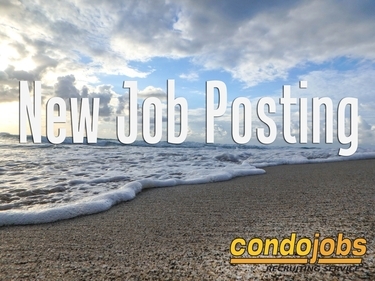 For a Panama City Beach association, immediate opening. Will manage the day to day operations of the community. Good management and problem solving skills required. Strong computer and organizational skills are necessary. For a homeowners association in North Boca, 20 hours per week, need as soon as possible. Will consider an inexperienced manager or one with light experience. For an oceanfront condominium in New Smyrna Beach. At least 10 years of CAM experience and good management knowledge are required. Must have knowledge of construction and bookkeeping. For condominiums and homeowners associations in the Saint Augustine area. Must be a dynamic, go getter with at least 3 years of experience. For a 55+ mobile home park in Melbourne Beach. Must be results oriented and a people first driven professional with a minimum 3 years of onsite CAM experience. For the Longboat Key area. 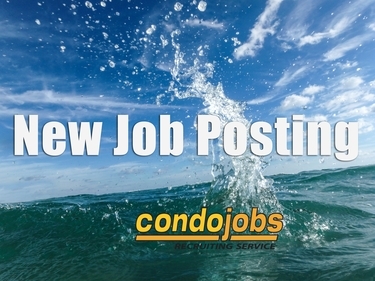 Must have a minimum of 3-5 years of hands on experience to manage several community associations and work directly with the boards of directors. Will oversee the communities' operations, maintenance, administration and improvement. 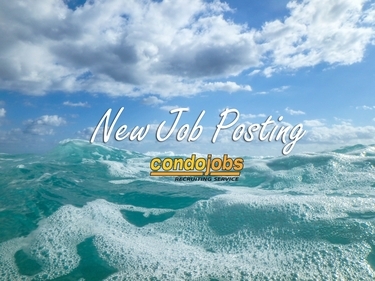 Will be responsible for ensuring positive owner and board member relations and complying with all reporting requirements. For Jacksonville associations. 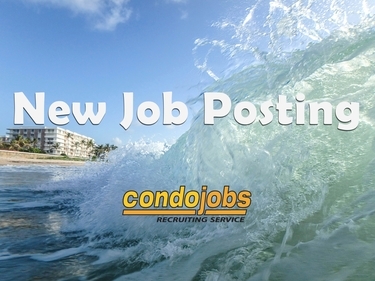 Must have 3+ years of work experience in association management with prior people and project management experience with condominiums, apartments, hotel, timeshares, developer, townhomes and homeowners associations. For a multiple phase condominium association in Saint Petersburg. Will function as the liaison between the boards of the associations, the general manager and the administrative. For condominiums and homeowners associations in the Wesley Chapel area. Responsibilities include implementing the community regulations as set forth in the associations' governing documents and relative state statutes. For higher end condominiums and homeowners associations in the Ponte Vedra and Jacksonville Beach area. At least 3 years of portfolio management experience is required. 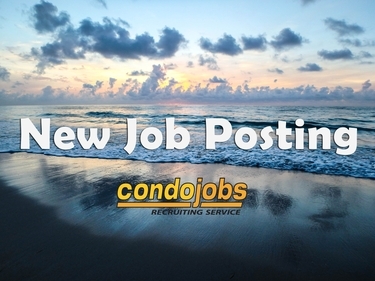 For a small oceanfront condominium in Ormond Beach, approximately 12 hours per week, 3 mornings or 3 days per week. 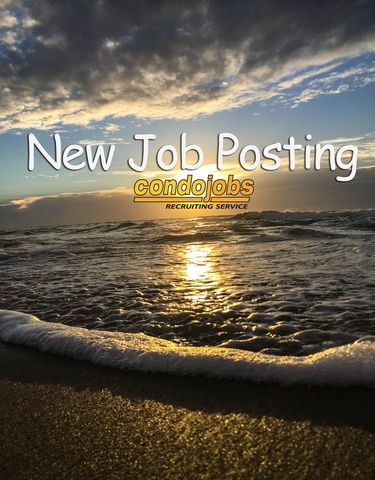 Responsible for overseeing building maintenance and security, financial duties (using Quick Books) and assisting in selecting and coordinating vendors. For 718, 719 and 720 associations in Broward and Palm Beach County, English/French. Excellent verbal and written communication skills and organization skills are essential. 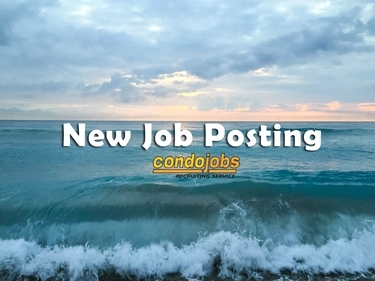 For a condominium in Bradenton, approximately 10-5 hours per week. Must be a hard worker with good attention to detail. Will be responsible for community inspections, finding contractors and getting bids for work and projects. In the Gainesville area. 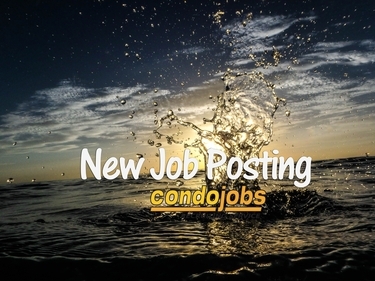 At least 2+ years of work experience in association management with prior people and project management experience with condominiums, apartments, hotel, timeshares, developer, townhomes or homeowners associations. For an association in Miami Beach. Must be motivated, people first, in search of excellence. Will oversee 2 maintenance personnel. For a community on Sanibel Island. Will be responsible for overseeing all aspects within the operation of the association. Must have 5+ years of experience. For a 55+ community in the Southwest Ocala area. Must have experience as a manager with a heavy emphasis on maintenance operations, bidding contracts and creating annual budgets. For the Riverview area. 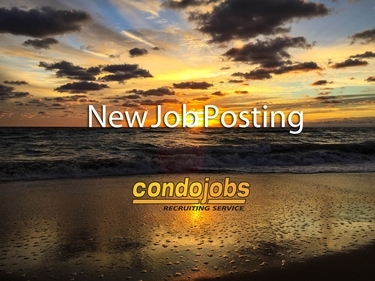 Must have 2+ years or work experience in association management with prior people and project management experience with condominiums, apartments, hotel, timeshares, developer, townhomes or homeowners associations. For associations in the Hollywood area. Will be in charge of multiple assets, overseeing financial reporting of these assets, ensuring collection of dues and rents from owners and renters, staffing and training employees. For a homeowners association in Kendall. Must have onsite management experience and working in conjunction with the association to achieve community objectives. Excellent verbal and written communication skills and organization skills are essential. for condominiums and homeowners associations in the Fort Myers area. At least 2 years of community association management experience is required. For the Naples and Bonita Springs areas. growing Southwest Florida Region. At least 2-5 years of CAM management experience required. Will provide management, direction and leadership to ensure the associations are maintained and operated in accordance with the management agreement. For an association in Estero. At least 4 years of previous management experience in association management is required. Proven leadership experience is mandatory. 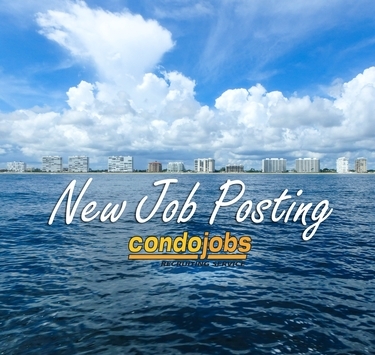 For a condominium onsite office in Fort Myers, 20 hours per week, CAM license not required. Must have good communication skills and computer skills. Will respond to resident concerns while working with the manager. January 01, 2019 - . For the Fort Myers area. Must be a self motivated individual to manage a portfolio of condominiums and homeowners associations. Association management experience required. 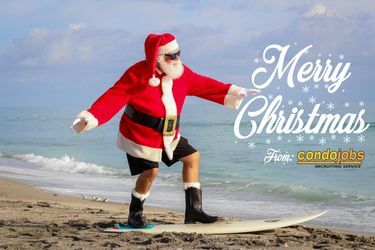 December 25, 2018 - Merry Christmas from CondoJobs! August 11, 2018 - Mike Quinn is the new community association manager for Mayfair House in South Palm Beach! Mike Quinn is the new community association manager for Mayfair House in South Palm Beach! June 11, 2018 - Elaine Frederick is the new community association manager for River Strand in Bradenton! Elaine Frederick is the new community association manager for River Strand in Bradenton! April 26, 2018 - Mark Castiglione is the new community association manager for Ocean Pines in Highland Beach! Mark Castiglione is the new community association manager for Ocean Pines in Highland Beach! When I first took on the assignment to chair the Search Committee, I imagined working with numberless sources and indistinguishable candidates. All of my concerns were quickly erased during our first discussion. You and your organization are invaluable assets to the field of community associations and I applaud the work that you do. July 15, 2015 - David Clattenburg is a new community association manager with Regatta Real Estate in Miami Beach! David Clattenburg is a new community association manager with Regatta Real Estate in Miami Beach! May 21, 2015 - Steven Miller is the new manager of Riverside in Daytona Beach! Steven Miller is the new manager of Riverside in Daytona Beach! May 21, 2015 - Gary Jones is the new manager of Trails of Royal Palm Beach in Royal Palm Beach! Gary Jones is the new manager of Trails of Royal Palm Beach in Royal Palm Beach! 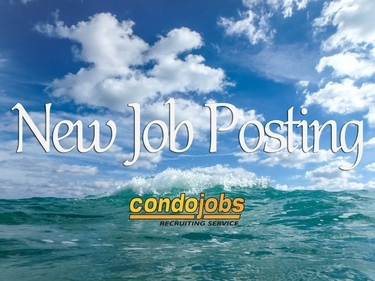 May 20, 2015 - Launa Young is the new manager of Twin Towers in Cocoa Beach! Launa Young is the new manager of Twin Towers in Cocoa Beach! April 30, 2015 - Paul Anderson is the new manager of Bryn Mawr South in Orlando! Paul Anderson is the new manager of Bryn Mawr South in Orlando! April 30, 2015 - Alyse Correa is the new manager of Olympus in Hallandale Beach! Alyse Correa is the new manager of Olympus in Hallandale Beach! April 24, 2015 - Cindy Gray is the new manager of Saint Rafael in Naples! Cindy Gray is the new manager of Saint Rafael in Naples! April 21, 2015 - Stephen Kogler is a new manager with Seacrest Services in Delray Beach! Stephen Kogler is a new manager with Seacrest Services in Delray Beach! April 20, 2015 - Diane Fitzgerald is the new manager of Oceans West One in Daytona Beach Shores! Diane Fitzgerald is the new manager of Oceans West One in Daytona Beach Shores! April 10, 2015 - Jennifer Langenstein is the new assistant to the manager of The Breakers in Palm Beach! Jennifer Langenstein is the new assistant to the manager of The Breakers in Palm Beach! April 04, 2015 - Mario Cordero is the new manager of The Seasons in Fort Lauderdale! Mario Cordero is the new manager of The Seasons in Fort Lauderdale! March 30, 2015 - Brian Bender is the new manager of Fairway Bay on Longboat Key! Brian Bender is the new manager of Fairway Bay on Longboat Key! March 15, 2015 - Peter Diaz is the new manager of Grandview Palace in North Bay Village! Peter Diaz is the new manager of Grandview Palace in North Bay Village! March 06, 2015 - Sandra Hoppe is a new manager with Guest Services in Naples! Sandra Hoppe is a new manager with Guest Services in Naples! February 06, 2015 - CondoFest! CondoFest will be held tomorrow, Saturday, February 7, 2015, at the Embassy Suites Hotel in West Palm Beach. CondoFest features a tradeshow, education classes, CEUs for CAMs and prizes! We have a booth at the tradeshow and I would love to see you there! February 05, 2015 - William Lutes is the new manager of Gulf and Bay Club in Sarasota! William Lutes is the new manager of Gulf and Bay Club in Sarasota! January 15, 2015 - Donna McIntyre is the new manager of Colony Reef Club in Saint Augustine! Donna McIntyre is the new manager of Colony Reef Club in Saint Augustine! January 15, 2015 - Paul Wilkis is the new manager of Sterling Village in Boynton Beach! Paul Wilkis is the new manager of Sterling Village in Boynton Beach! January 10, 2015 - Darlene Cisson is the new manager of Riverside Club on Marco Island! Darlene Cisson is the new manager of Riverside Club on Marco Island! December 29, 2014 - Greg Anderson is the new manager of Colliers Reserve in Naples! Greg Anderson is the new manager of Colliers Reserve in Naples! November 22, 2014 - Christine Stinauer is the new manager of Harborside West in Naples! Christine Stinauer is the new manager of Harborside West in Naples! November 13, 2014 - Harry Keeley is the new manager of Porta Bella Yacht and Tennis Club in Boca Raton! Harry Keeley is the new manager of Porta Bella Yacht and Tennis Club in Boca Raton! November 08, 2014 - Milan Ilich is a new manager at JMD Management in Delray Beach! Milan Ilich is a new manager at JMD Management in Delray Beach! October 31, 2014 - Charles Barone is the new manager of the Palm Beach Hotel in Palm Beach! Charles Barone is the new manager of the Palm Beach Hotel in Palm Beach! October 25, 2014 - Agnes Arra is the new manager of Outdoor Resorts of Long Key on Long Key! Agnes Arra is the new manager of Outdoor Resorts of Long Key on Long Key! October 23, 2014 - Larry and Marie Kimball are the new management team for Ormond Holiday Club in Ormond Beach! Larry and Marie Kimball are the new management team for Ormond Holiday Club in Ormond Beach! September 27, 2014 - Lorraine Bodek is the new manager of Ocean Riviera in Fort Lauderdale! Lorraine Bodek is the new manager of Ocean Riviera in Fort Lauderdale! September 17, 2014 - Fred Collington is the new manager of Bryn Mawr South in Orlando! Fred Collington is the new manager of Bryn Mawr South in Orlando! September 15, 2014 - Launa Young is the new manager of Tropic Shores in Daytona Beach Shores! Launa Young is the new manager of Tropic Shores in Daytona Beach Shores! September 10, 2014 - Timothy Broughton is the new manager of Lake Ridge Village in Orlando! Timothy Broughton is the new manager of Lake Ridge Village in Orlando! July 23, 2014 - Donald Campbell is the new manager of High Point West #2 in Delray Beach! Donald Campbell is the new manager of High Point West #2 in Delray Beach! June 25, 2014 - Aimee Kirlan is the new manager of Garden Oaks in Palm Beach Gardens! Aimee Kirlan is the new manager of Garden Oaks in Palm Beach Gardens! Brian Packard has accepted a community association manager position with Haag Management in Boca Raton!